Best price new Hyundai – get maximum discount on any brand new Hyundai without having to shop around or negotiate yourself. Be it new Hyundai i30, IONIQ, Elantra, Veloster, Sonata, i40, Kona, Tucson, Santa Fe, iMax, iLoad or Accent, Any New Car will ensure you have the opportunity to buy a new Hyundai at the very best price. Whether you’re a private buyer, a small company, or run a large fleet of vehicles, Any New Car can get you the best deal on a new Hyundai. Just complete this form, then click the link in the email that follows. We can also ensure you achieve the highest price for any car (or cars) you intend trading in as part of a new car purchase. That’s whether you are buying a Hyundai or any new car. We’ve forged alliances with Australia’s leading Hyundai dealers and Fleet Management Operations which means: best price new hyundai for you, and the highest level of service when pricing and buying a new Hyundai with the help of Any New Car. Hyundai has now stood the test of time here in Australia. 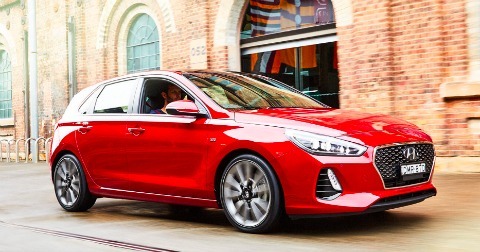 Once known as the Korean carmaker that produced low-priced “drive-away, no more to pay” small cars, Hyundai today is one of the world’s fastest growing full-line car manufacturers and is now being recognised not only for its quality but also for its variety of models and innovative ideas. Hyundai is now on a mission to make it into the world’s top five automakers. Hyundai Australia report on their website that independent quality surveys conducted in the USA and UK are revealing that an increasing number of motoring experts are placing Hyundai in the same segment as Japanese, American and European manufacturers. Hyundai was the first in Australia to offer a 5-year unlimited kilometre factory warranty. This communicates a definite confidence in their product. Providing high-quality vehicles that represent excellent value for money is one of Hyundai’s minimum standards still, as well as a strong commitment to delivering their owners the latest technological advances. For over 20 years now, the Hyundai has been a significant part of Australia’s automotive landscape. The Hyundai brand continues to cement their reputation of delivering Australia innovative and affordable motor cars. Any New Car is here to save you time, and money buying a new Hyundai through a Hyundai dealer near you. Have you decided on the new Hyundai model you’re buying? Any New Car can lock in the maximum discount on whatever Hyundai model you’ve chosen. Our unmatched new car broker service guarantees you’ll get the lowest drive-away price on any new car. Our vast network of Hyundai contacts across Australia are always motivated to win the business we can continually deliver to their sales departments – this means you’re always guaranteed the best price on a new Hyundai with Any New Car.